Monrovia – Civil Law Court “A” at the Temple of Justice on Tuesday, January 15 declared as “insufficient” a bond filed for the prosecution of Hot Pepper Editor Philipbert Browne. Brown is facing a lawsuit of US$10M damages. The court’s decision grew out of an exception raised by lawyer representing the legal interest of the Editor of the Hot Pepper Newspaper that the US$1.5M attachment bond filed by former Bong County Representative Tokpah Mulbah legal counsels to serve as the basis for the prosecution of the newspaper editor was insufficient. “Counsel for the Defendant called the attention of the court to the main issue that was raised in their excerption which was that the amount spell out in the bond filed by the plaintiff/complaint did not meet the legal requirement to support said bond as provided for by law,” argued Cllr.Wilfueh Sayeh. Cllr. Sayeh, according to the court’s ruling, had relied on 7.15 of the Civil Procedure Code to back his argument in respect to his exception to the plaintiff’s bond. Section 7.15 of the Criminal Procedure Code the court ruling further states that on the application for an order of attachment, the plaintiff shall give a bond in an amount equal to one half the amount demanded in the complaint that the plaintiff shall paid to the Defendant all legal costs and damages which may be sustained by reason of the attachment if the plaintiff fails to prosecute the case successfully. The same section 7.15 continues: “That if is finally decided that the plaintiff was not entitle to the attachment of the Defendant’s property, and that the plaintiff shall paid to the sheriff all of his allowable fees”. In the ruling of Judge Kaba, he stated that the provision quoted by Cllr. Sayeh was clear and subjectable to no interpretation other than its clear meaning. According to Judge Kaba, the law requires that for a plaintiff to attach the property of Defendant the amount of damages prayed for by the plaintiff, he must be multiplied by one and one half in other to determine the value of the security that ought to be deposited for that purpose. “The court is of the opinion that from the prayer it is clear that the damages prayed for by the plaintiff is US$10million dollars and therefore the requirement of security on this amount must be one and one half time the amount of US$10million calculating the amount the security needed to support an attachment in this matter is US$15million.” Judge Kaba stated. Judge Kaba then ruled and gave the plaintiff a 72-hour ultimatum as of the sitting of the court on Tuesday, January 15 to make sufficient the bond. “Failure on the part of the plaintiff to ensure the sufficiency of the bond within the period allotted herein said bond will be declared invalid the attachment vacate any security posted by the Defendant and have the matter proceeded with as provided by law and is hereby so ordered,” said Judge Kaba. But Samuel Pearson representing the plaintiff took exception to the ruling. 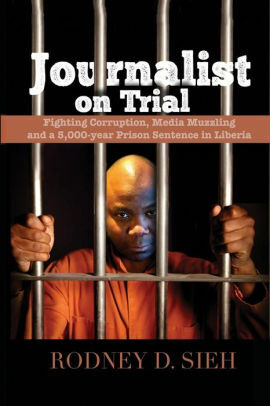 The Hot Pepper Editor was sued by former Bong County Lawmaker Tokpah Mulbah after the editor accused some former lawyers of being link to the alleged missing 16 billion Liberia dollars. 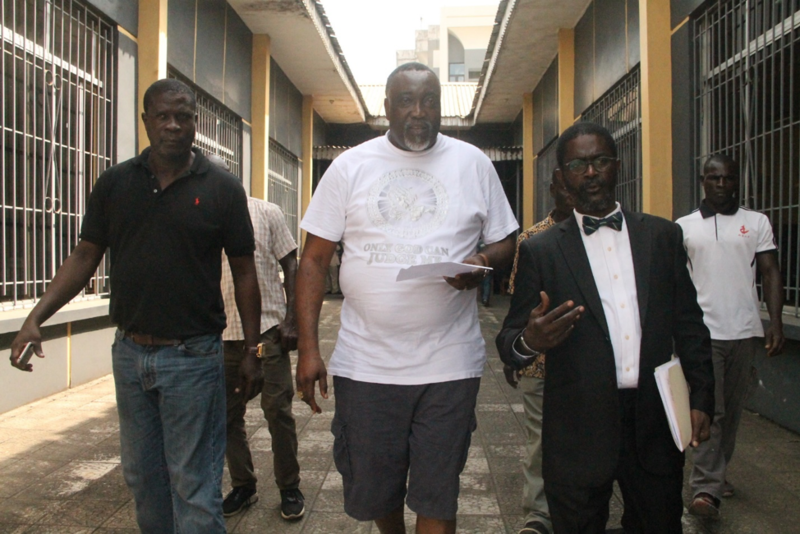 Editor Browne was charged with libel and is currently placed on a US$125,000 bond, while the plaintiff is demanding US$5 million for general damages and another US$5m for punitive damages.